← Street Scenes or Inner Life? 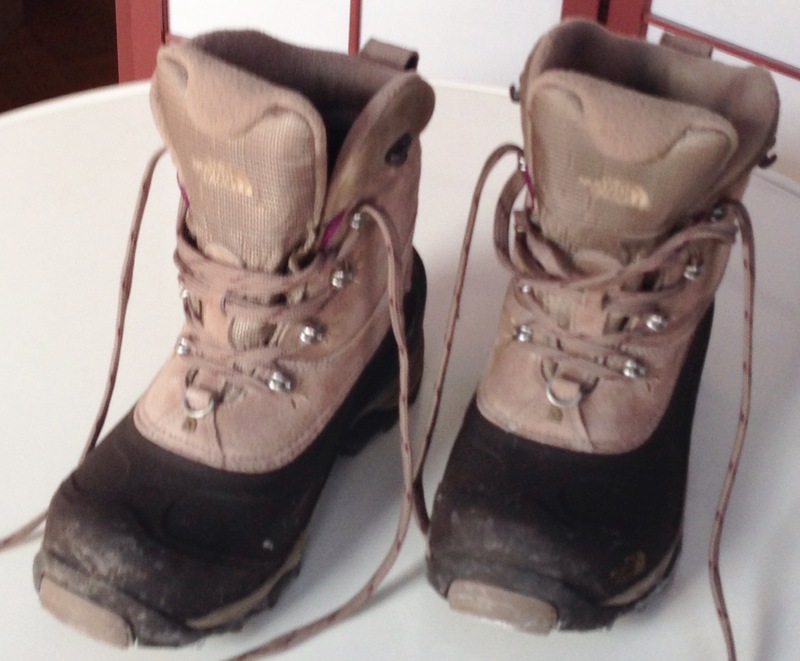 These are the boots I bought ten years ago with the money I made from selling my books at the Strand bookstore. Books, which had always been able to warm my heart and soul and send my imagination soaring, could not keep my feet warm and dry in the winter unless I was reading by the fire. True, I didn’t have a fireplace, but I had radiators. I also had a pair of old boots that no longer kept the water out. I was tired of putting my feet into plastic bags before putting on my boots for slushy city streets. I had always been proud of my book collection, and luckily my apartment had the kind of long wide hallway where it was possible to place my narrow bookcases against the entire length of one wall. This had the added advantage of being able to stack new books on top, higher and higher against the wall. This arrangement worked well for many years. And then one day it didn’t. Three things had occurred. 1) The hallway had begun to feel claustrophobic. What I had jokingly referred to as the “Hall of Learning” no longer seemed apt. 2) My son was growing up and wanted to collect his own books. I had been saving much of my collection for him, but now there didn’t seem a point to it as even if he wanted to read something I already had, he preferred to buy his own, new copy. 3) Office work, my old standby, was no longer feasible after I went deaf in one ear, and I was strapped for cash. There was enough for essentials, but not for new winter boots (for me). 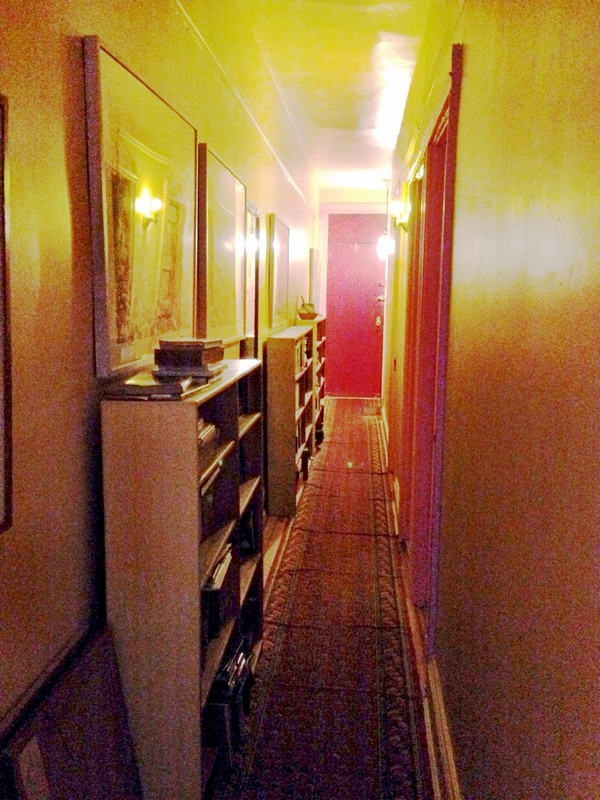 Nevertheless, the bookcases in the hallway began to empty out to the extent that I could even get rid of a couple of shelving units themselves. Meanwhile, on my way from Union Square and Fourteenth Street to the Strand at Fourth Avenue and Twelfth, I happened to pass a shoe store and noticed they were having a sale on winter boots. Uggs, no less. From Australia. With book money in hand, I was able to buy the warmest, tallest Ugg boots in soft gray suede. I wore them outside. I wore them inside. When I went to visit a friend on a snowy day I persuaded her to let me keep my boots on indoors (after carefully brushing the snow off). The years passed. Ten of them by now. The boots eventually ceased to be waterproof though I sprayed them with the special Ugg spray, at least in the beginning. The boots got dirty too, but I kind of liked the stains. I just did a search for Ugg boots, and mine are obviously a discontinued style. Which makes them all the more precious. (Last winter, due to a part-time care-giver job, I was able to buy another pair of winter boots to keep the slush from seeping in. This is a picture of how the hallway looks today. It looks reasonable. And there is more space to hang paintings. I still have plenty of books… Why is the front door painted red? Well, I stopped painting the town red years ago, and I never had a barn to paint red… but I did have a door. 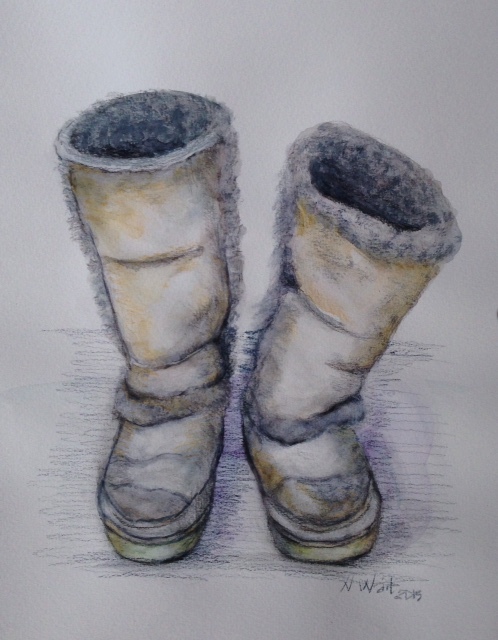 This entry was posted in ART and tagged Art, art and feeling, autobiography, discontinued ugg boots, painting, painting of winter boots, selling used books, the nancy who drew, ugg boots, watercolor painting. Bookmark the permalink.